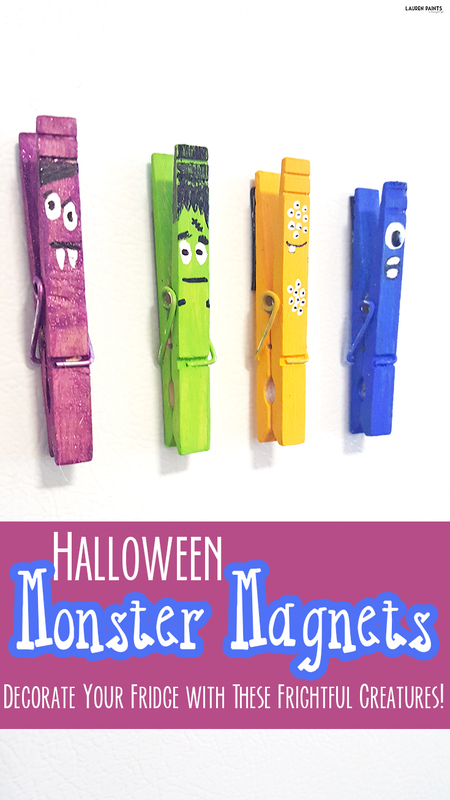 Monster Magnets for Halloween - Decorate Your Fridge with These Frightful Creatures! Sometimes I like to make silly little things, I guess because it makes celebrating the holidays a little more fun... or maybe it's because I'm truly a kid at heart. Regardless, there are a few holidays I get a little bit more excited about than others; I bet you can guess which holiday I'm super excited about currently though... With Halloween just right around the corner, we are getting the house in the spirit. Bowls of candy and little crafty pumpkin decor are littering my house currently and I love every bit of it. Are you ready to get your house into the holiday spirit? 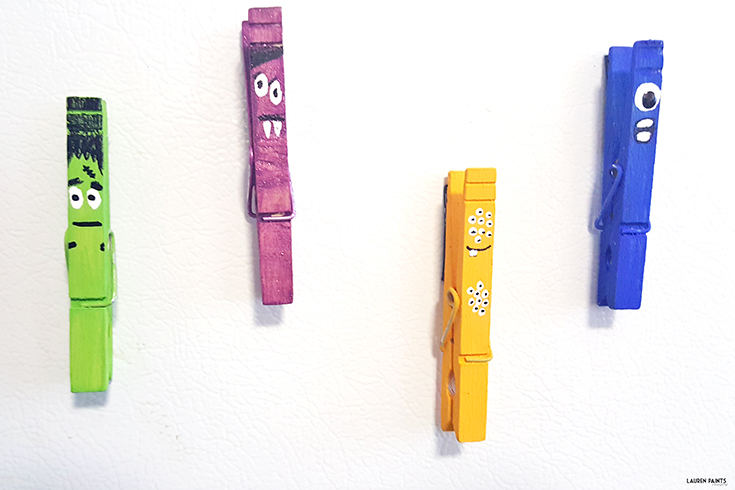 Today, I want to share a super simple craft that definitely will bring joy to your home. Who knows? Maybe you can even spread the joy and share a few of these little monsters with your friends and family! That's right, I said little monsters! 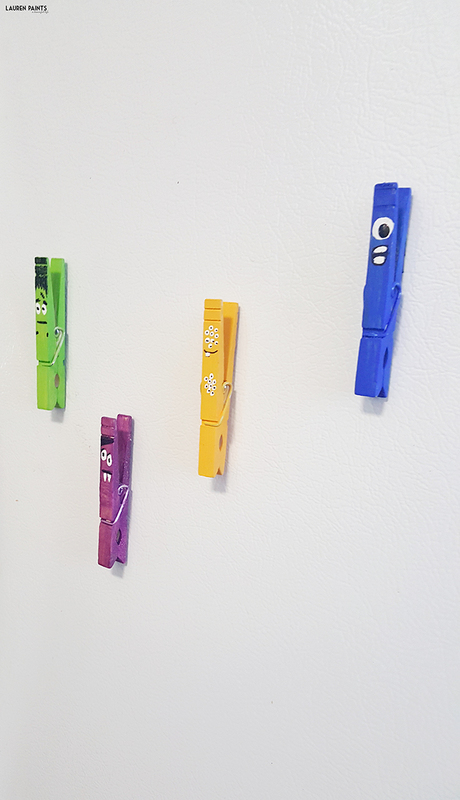 I made little Monster Magnets to decorate our fridge for Halloween and you can make a set too! 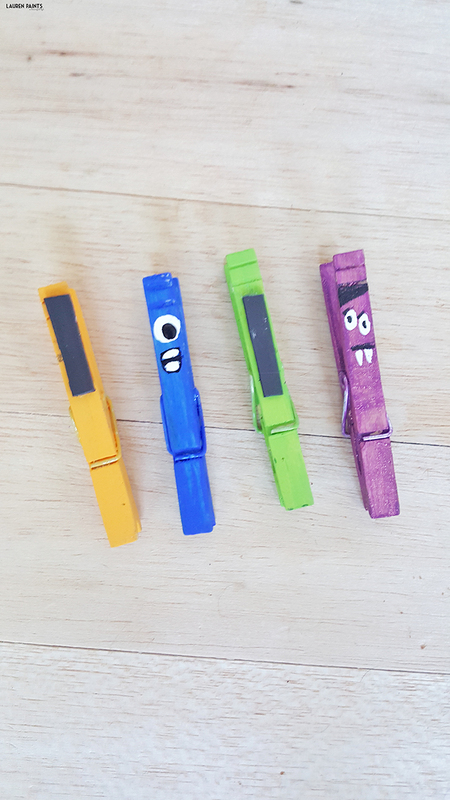 Don't fret if you aren't the crafty type, they are super easy to make and actually functional since they are made with clothes pins! What will you need to make these? 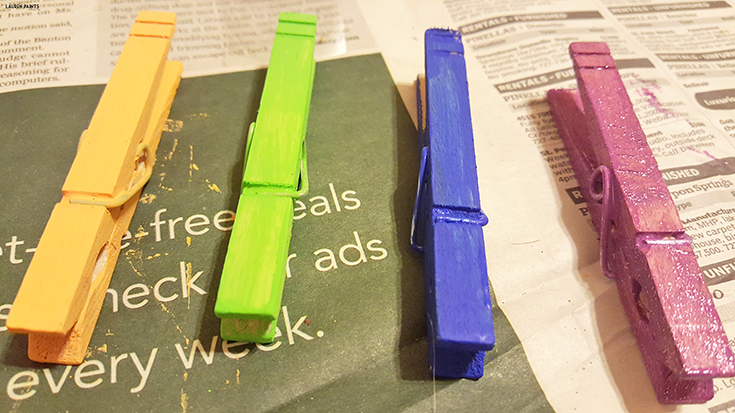 A Handful of clothes pins, a rainbow of acrylic paints, paint brushes, and magnetic tape. 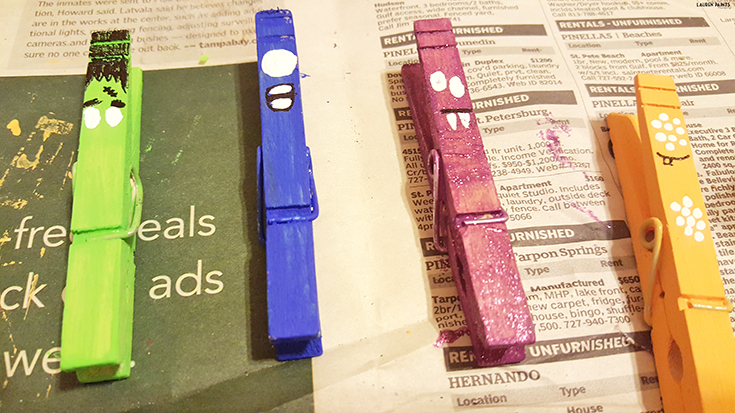 You'll start this project by painting a base coat on each of your little monsters (clothes pins). 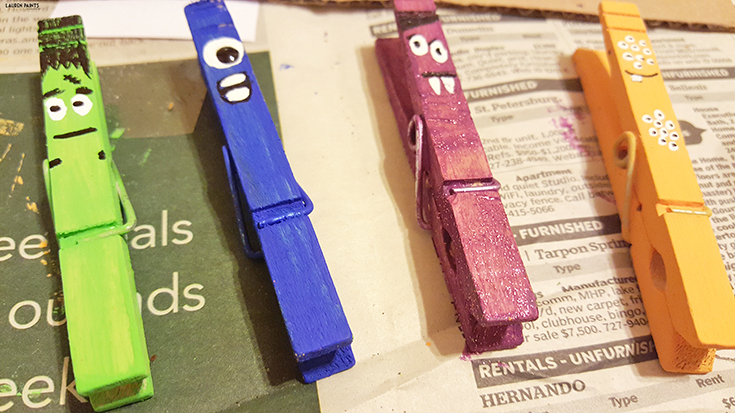 Primary colors, funky Halloween colors, girly pink shades, whatever you prefer - be sure to paint every nook and cranny on the clothes pin. Let your base coat dry for at least 30 minutes. Next you'll want to add the details to your monster. 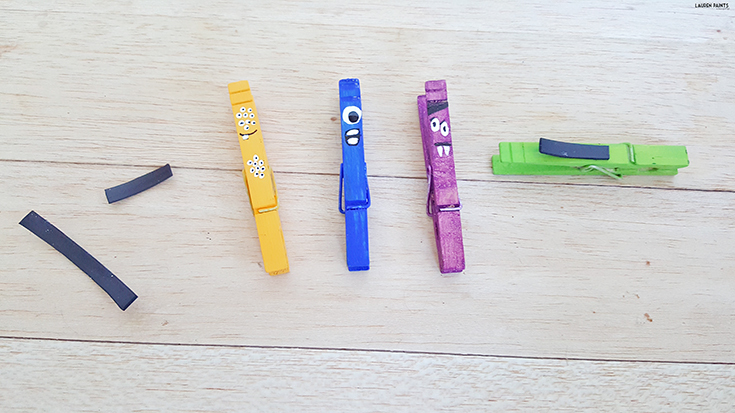 Make one with tons of tiny little eyeballs, make a few with googly eyes, or make them all into cyclops'... it doesn't matter where their mouths, noses, eyes, etc are because they are supposed to be goofy and silly. The wilder and sillier, the better, in my opinion. Once all the monster details are completed, let the paint dry for at least another 30 minutes. This last step in the monster creation process is the easiest. 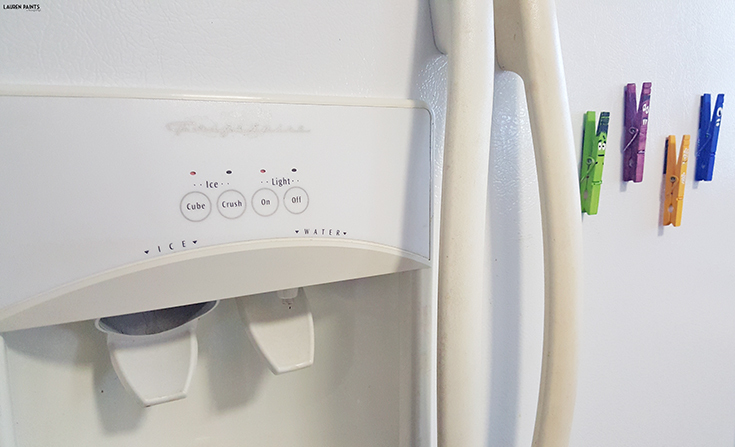 Paint a thin layer of modpodge in either gloss or matte to seal the paint on your clips and then cut a small piece of magnet tape off of the roll. 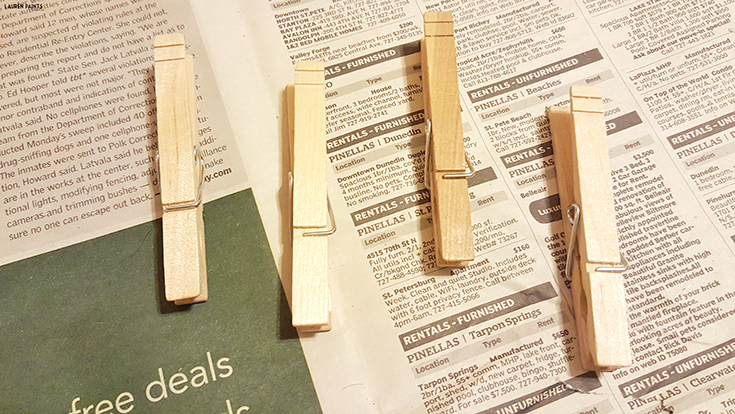 Cut that piece in half longways and stick it to the back of your clothes pin. Now your creation is complete and ready to hang in the kitchen, not only around Halloween, but all year long - especially if you have a few little monsters running around your home! Hang good grades, amazing drawings, reminders for upcoming events, and more from these cute little creatures!